tl;dr: Point arrows at your line at defined datum points. Sometimes to really enhance your picture you need to point at some stuff. 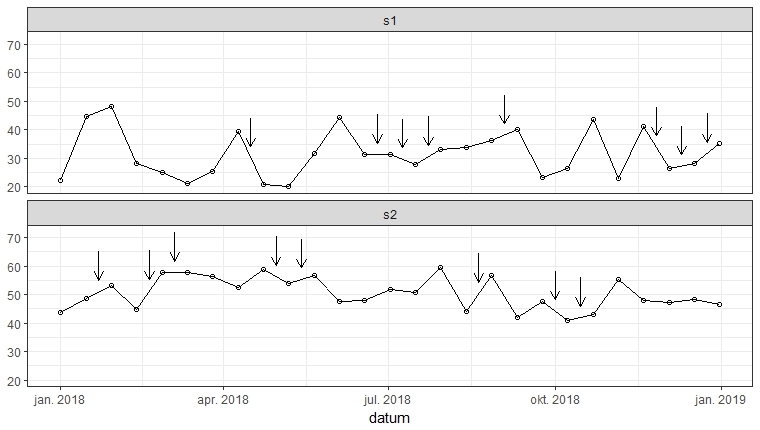 Here is a script which will plot vertical lines to show events in your datum plot. # This script will draw points to parts of (interpolated) lines. # These are the points where we want to point to. # Function which interpolates per one variable.